When the sun goes down, it’s time to get ready for bed in Bear Country! Lift the flaps and see how the Bear family unwinds as they get ready for bed. With over 10 delightful surprises under every flap, children and fans of the Berenstain Bears will love reading this book at bedtime. This lift-the-flap story is a perfect match for young Berenstain Bears fans. 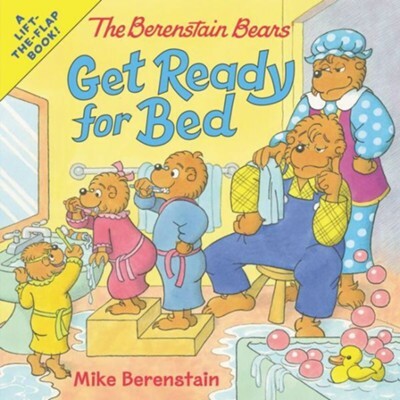 I'm the author/artist and I want to review The Berenstain Bears Get Ready for Bed.